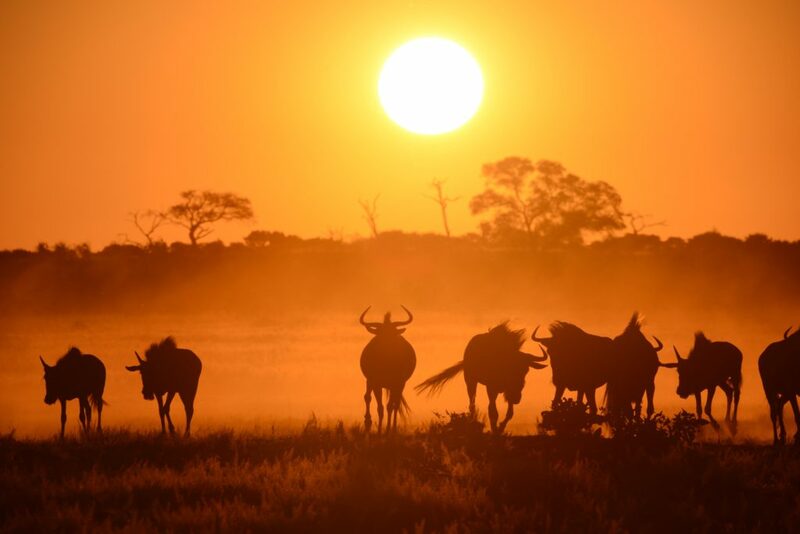 Take a walking safari into Botswana’s wilderness and experience some of Africa’s best safari destinations up close. A walking safari is a journey that takes you off the wheel-beaten track and into the bush on foot, immersing you completely in nature. It is a safari that truly enriches the soul as you are forced to move at the pace of nature and use all your senses to tune into the bush. We answer some of the key questions to help you make up your mind whether a walking safari in Botswana is your kind of adventure. Depending on where you stay whilst on safari in Botswana, one of the activities included in your lodge rate may be a walking safari. This is usually a short walk of a couple of hours into the nearby bush, returning to your lodge before sunset. It will include identifying tracks and bird calls, discussing interesting insects and plants as well as learning about the ecosystem in general from your guide. It may also feature tracking some of the larger animals, although a walking safari is really about appreciating the smaller wildlife. A mobile walking safari is a guided travel adventure into the bush led by a professional guide who is accompanied by camp assistants and a chef in a game drive vehicle trailing behind. This is an overnight trip that can cover a fair distance, and requires all camping equipment to be transported in the game vehicle as the group moves from one location to another. Each traveller has their own small tent with a cot and shares a communal shower with others in the group. 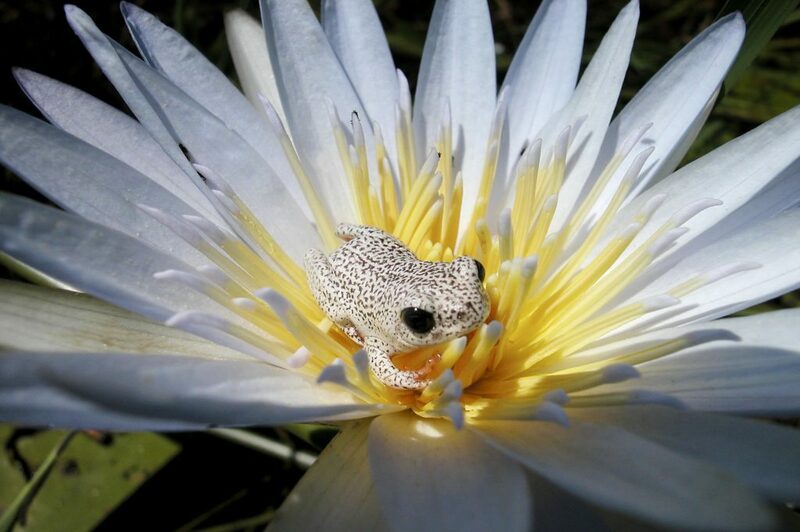 Where in Botswana do walking safaris happen? Authentic walking safaris are not common in Botswana. 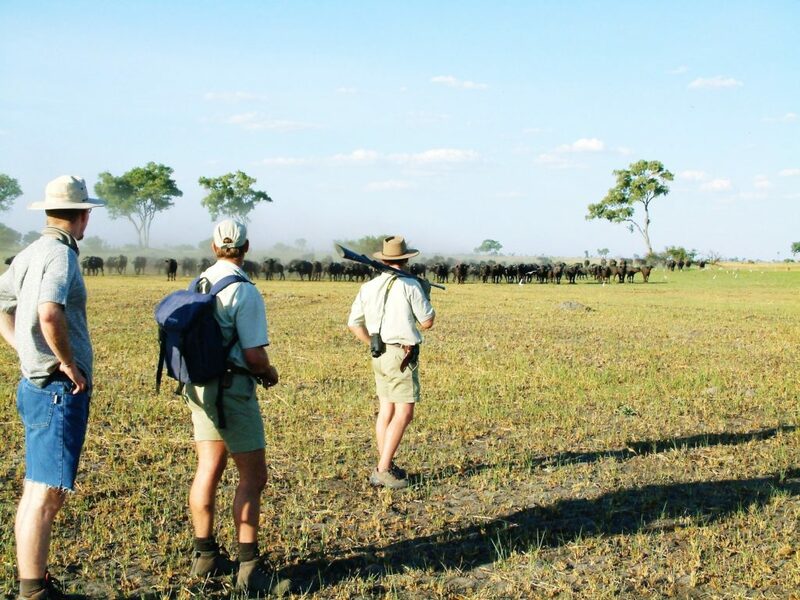 Fortunately, the team at Walk Botswana Safaris has over 15 years’ experience in this unique type of safari, leading short and long walking safaris according to what each traveller wants to get out of this experience. Walking safaris can take place throughout the northern region of Botswana including Chobe National Park, the Okavango Pan Handle, Magkadikgadi and Nxai Pan areas. There is also an excellent opportunity to walk the northern sector of the Kgalagadi Transfrontier Park during the wet season when walking is restricted in other areas due to dense vegetation. Roaming the bush on foot offers you the chance to connect more deeply and intimately with your natural surroundings. While taking a traditional game drive might help you see more large wildlife, walking will make you aware of the smaller details you would have otherwise missed whilst trundling along an existing track on four wheels. A walking safari takes you back-to-basics for a more mindful safari experience. There is no electricity, water is heated by gas, and food is prepared over a campfire – it is an approach that teaches you to slow down, reflect and enjoy the present moment. Rustic camping is an exhilirating adventure that taps into all senses and leaves you with countless fond memories. How do you book a walking safari? Each safari is tailored for a specific group, taking into consideration the composition of the group, the travel experience within the group, the time of year and the additional activities required. As each trip is custom-made to your preferences, you can choose to experience the best of both worlds by adding on a traditional lodge-based safari stay to a walking safari. It is generally recommended that the lodge-based stay ends off your safari because after all that walking, you will appreciate the added luxuries provided by the lodge. 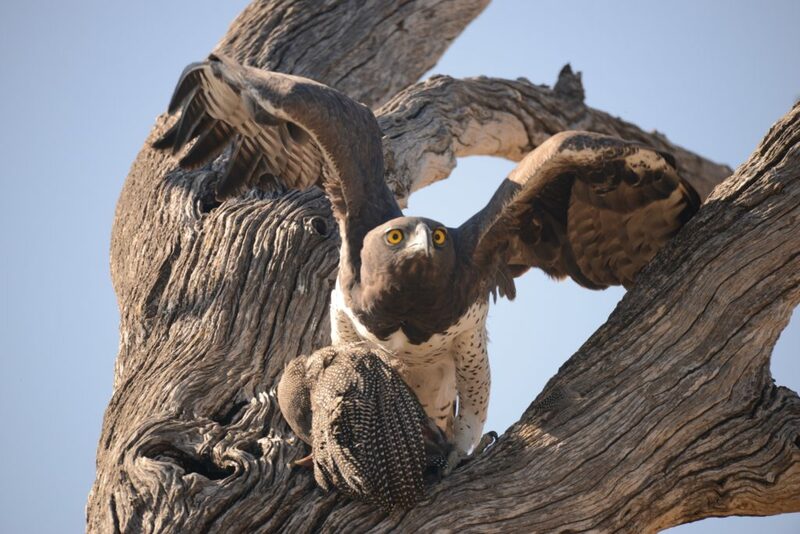 We are a well-established safari tour operator in Botswana and our recommendations are based on over a decade of experience in the field. We work together with partners like Botswana Walking Safaris to balance your expectations with what works practically in the bush. Please note, walking safaris are not suitable for guests under 16. If this has piqued your sense of adventure, contact us about planning a walking safari that will meet your expectations whilst also fitting in with your travel budget and time-frame.